Landscape photos are really charming. The beauty of nature when captured on prints can convey a lot of feelings and memories. There are a lot of people who appreciate autumn foliage as fine art prints. When you speak about the colors of call, Colorado can definitely offer those outdoor photography buffs who are patiently waiting for the perfect opportunity to make improvements with their gallery of beautiful autumn images. 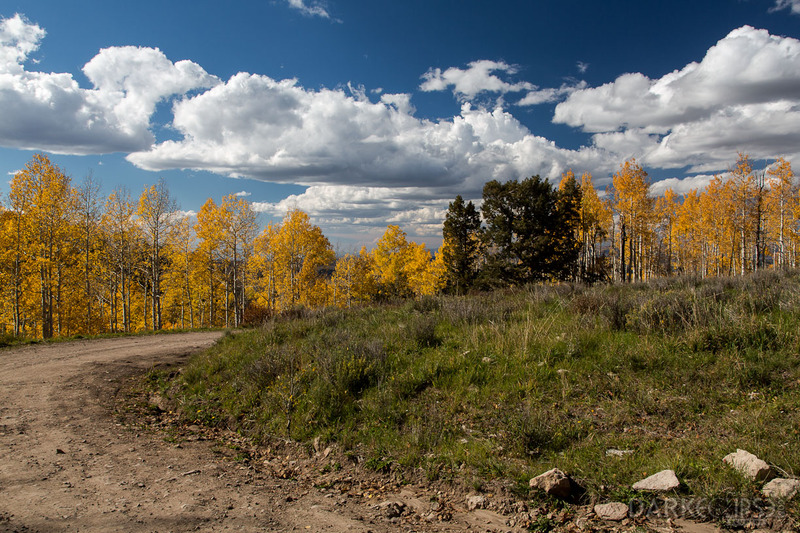 Colorado is one of the Mecca for outdoor autumn photography. The gorgeous colors of the Fall season will really fascinate photography and fine art aficionados from various parts of the globe. As the Aspen trees line up along the Colorado Mountains, photographers and tourists alike are guaranteed of an amazing experience with the grandeur of Mother Nature. The gorgeous colors of yellow, orange, gold and green are definitely a priceless sight to behold. It is definitely an awesome and priceless experience to venture out into outdoor photography while in Colorado for the autumn season. The photographer of this fine art image frolicked into the vastness of the Colorado Mountains with a camera on hand and a whole lot of enthusiasm. This photo was taken right off the Last Dollar Road where crisp and vibrant hues of autumn foliage are noticeable. Upon glancing at this fine art image, it evokes feelings of nostalgia and reminiscing. Roads are always a symbol of a journey. This image takes its viewers into a different dimension of creativity and wistfulness. The charm and beauty of the Colorado falls is a perfect decorative piece for a room in a home or in an office. It can definitely add feelings of relaxation and calm. A copy of this fine art print can really bring its audience into a world of placidness and serenity.